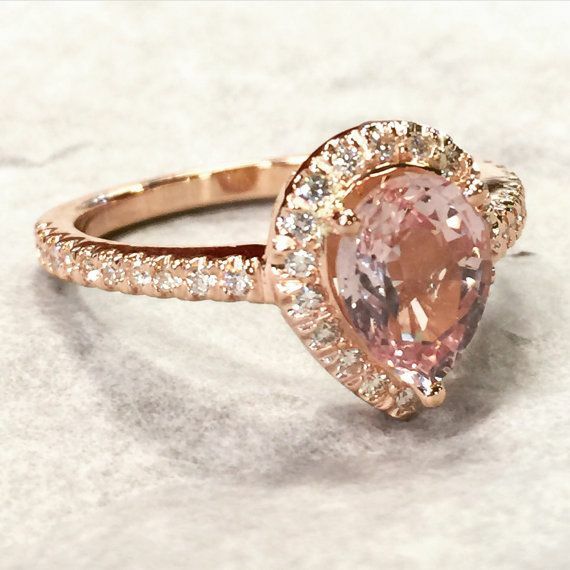 A beautiful 14kt White Gold Pear shape center stone and Diamond Ring consisting of One Pear shape Cut Shape Natural Peach Morganite certified no treatment or enhancement, which is Set in a Prong Setting. The Ring has a halo of diamonds and Diamonds down the side in a thin shank. * Customize this band/ring. We can add diamond or gemstones. Please inquire.